In this episode, I interview Holly Scott, MBA, MS, LPC and the founder of Upton Dallas Counseling. Holly specializes in treating anxiety disorders. 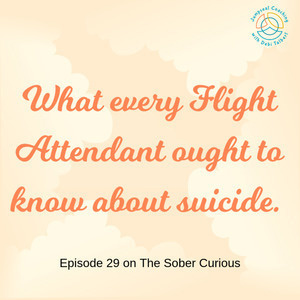 We discuss the myths of Suicide. What to do if someone says they want to hurt themselves as well as how to help a friend who is sad all the time. The truth is, being a flight attendant can be a lonely job. Our #Crewlife is so different from the rest of the worlds work life. We are gone away from our friends and family 15 to 20 days a month. We work lots of holidays and weekends too. We work with different people almost every time we show up to work. It can be a challenge to make friends at work as well as keep a close connection to the ones we have in the 9 - 5 world. Yet, no one openly talks about this side of the job so when it hits you or you find yourself feeling sad, lonely or depressed, you don't share your thoughts or feelings with anyone because it seems like you are the only one. Myth: Asking about suicide would plant the idea in my patient's head. Reality: Asking how your patient feels doesn’t create suicidal thoughts any more than asking how your patient’s chest feels would cause angina. Myth: There are talkers and there are doers. Reality: Most people who die by suicide have communicated some intent. Someone who talks about suicide gives the physician an opportunity to intervene before suicidal behaviors occur. Myth: If somebody really wants to die by suicide, there is nothing you can do about it. Reality: Most suicidal ideas are associated with the presence of underlying treatable disorders. Providing a safe environment for the treatment of the underlying cause can save lives. The acute risk for suicide is often time-limited. If you can help the person survive the immediate crisis and the strong intent to die by suicide, then you will have gone a long way towards promoting a positive outcome. Reality: The intent to die can override any rational thinking. In the presence of suicidal ideation or intent, the physician should not be dissuaded from thinking that the patient is capable of acting on these thoughts and feelings. No Harm or No Suicide contracts have been shown to be essentially worthless from a clinical and management perspective. The anecdotal reports of their usefulness can all be explained by the strength of the alliance with the care provider that results from such a collaborative exchange, not from the specifics of the contract itself. Myth: Multiple and apparently manipulative self-injurious behaviors mean that the patient is just trying to get attention and are not really suicidal. Reality: Suicide “gestures” require thoughtful assessment and treatment. Multiple prior suicide attempts increase the likelihood of eventually dying by suicide. The task is to empathically and non-judgmentally engage the patient in understanding the behavior and finding safer and healthier ways of asking for help. If you have a friend who is so sad all the time and think she may be suicidal, but don’t know what to do? Start by asking questions. How are you coping with what's been happening in your life? Are you thinking about dying? Have you ever thought about suicide before, or tried to harm yourself before? Have you thought about how or when you'd do it? Do you have access to weapons or things that can be used as weapons to harm yourself? Asking about suicidal thoughts or feelings won't push someone into doing something self-destructive. In fact, offering an opportunity to talk about feelings may reduce the risk of acting on suicidal feelings. Talking about suicide — for example, making statements such as "I'm going to kill myself," "I wish I were dead" or "I wish I hadn't been born"
Developing personality changes or being severely anxious or agitated, particularly when experiencing some of the warning signs listed above. 1 - Ask: “Are you thinking about killing yourself?” It’s not an easy question but studies show that asking at-risk individuals if they are suicidal does not increase suicides or suicidal thoughts. 2 - Keep them safe: Reducing a suicidal person’s access to highly lethal items or places is an important part of suicide prevention. While this is not always easy, asking if the at-risk person has a plan and removing or disabling the lethal means can make a difference. 3 - Be there: Listen carefully and learn what the individual is thinking and feeling. Findings suggest acknowledging and talking about suicide may, in fact, reduce rather than increase suicidal thoughts. 4 - Help them connect: Save the National Suicide Prevention Lifeline’s number in your phone so it’s there when you need it: 1-800-273-TALK (8255). You can also help make a connection with a trusted individual like a family member, friend, spiritual advisor, or mental health professional. Email me and I will send you a PDF of the Safety Plan discussed in this episode. 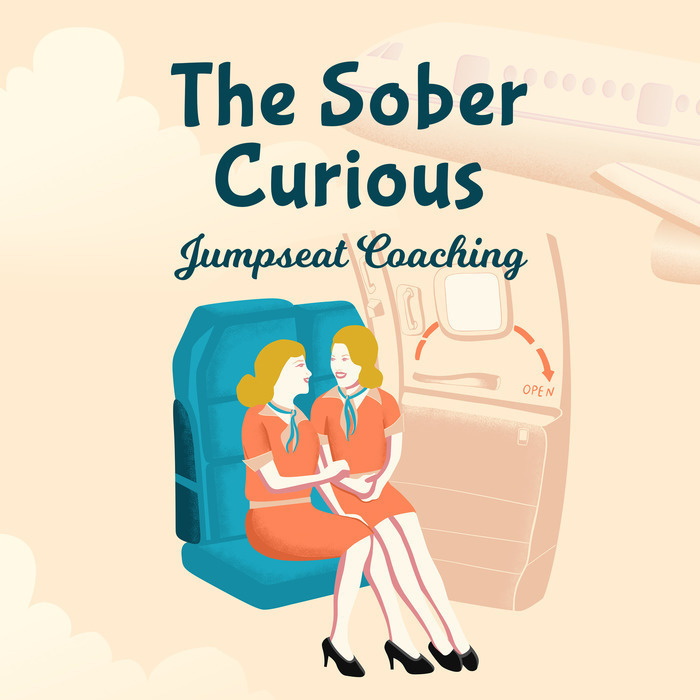 My email is Debi at Jumpseat Coaching dot com. PS - Please do Leave a Review + Subscribe via iTunes so others can find the show and benefit from what being taught.